Breaking News! Susan Burton Named 2012 Purpose Prize Winner! The awards keep rolling in for Susan Burton, whom we interviewed in 2010, and her A New Way of Life Reentry Program. 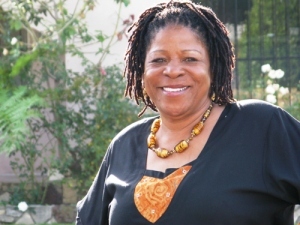 She was named a CNN Hero in 2010 for her amazing work helping formerly incarcerated women have the sober, safe shelter and other support services they needed to get back on their feet. Today, Forbes.com just announced that Susan is a 2012 Purpose Prize Winner! The Purpose Prize, along with $100,000, is awarded by Encore.org to people 60 years of age and older who are truly making a difference in the world. Congratulations, Susan!